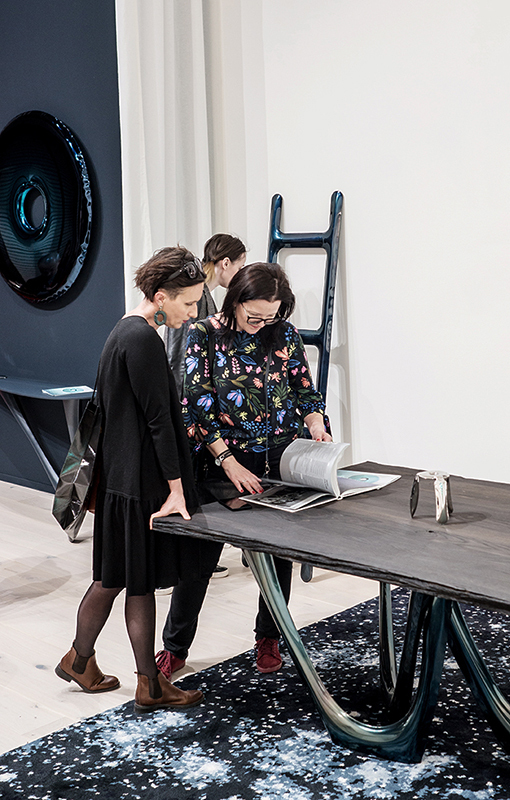 Milan Design Week is the most important event in the calendar of the world of design. 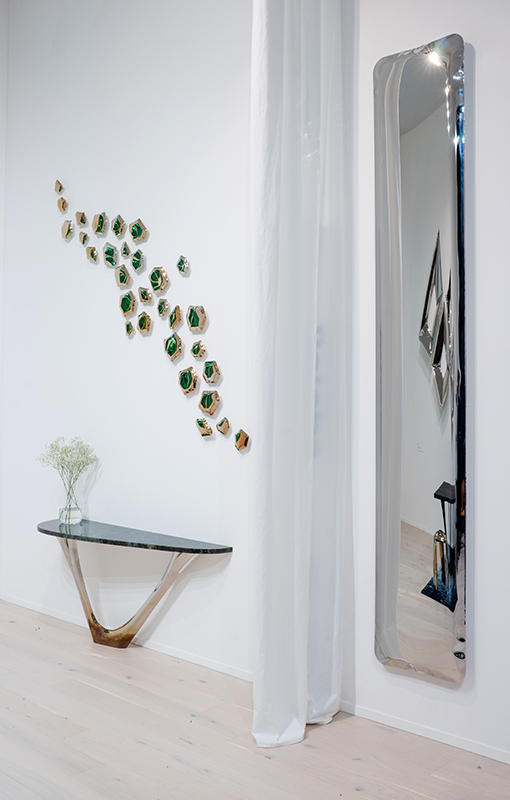 During this year’s edition of Salone del Mobile fairs, Oskar Zieta and his studio will present surprising projects. 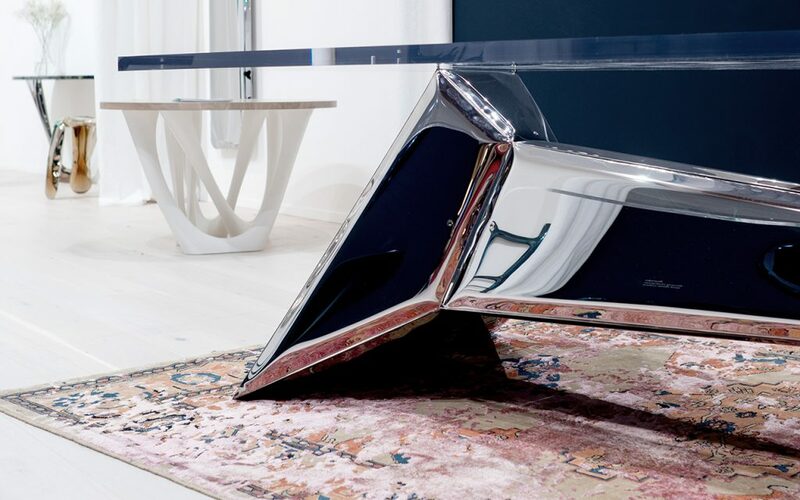 These are objects that go beyond the framework of regular design, break the stereotypes of typical furniture and enter with controversial forms into the field of art. 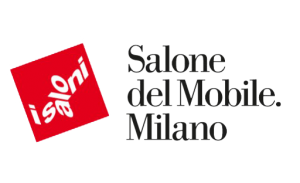 The new collection will be presented at the “Furniture of Disorder” exhibition at Salone del Mobile in Milan, hall 6, stand E33. 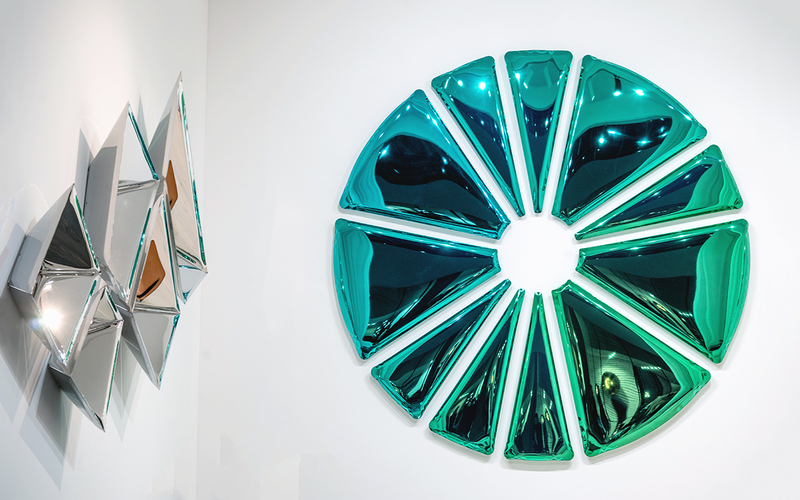 The heart of the exhibition will be the premiere of Oskar Zieta’s new artistic installation, the impressive multi-element NUCLEUS mirror. 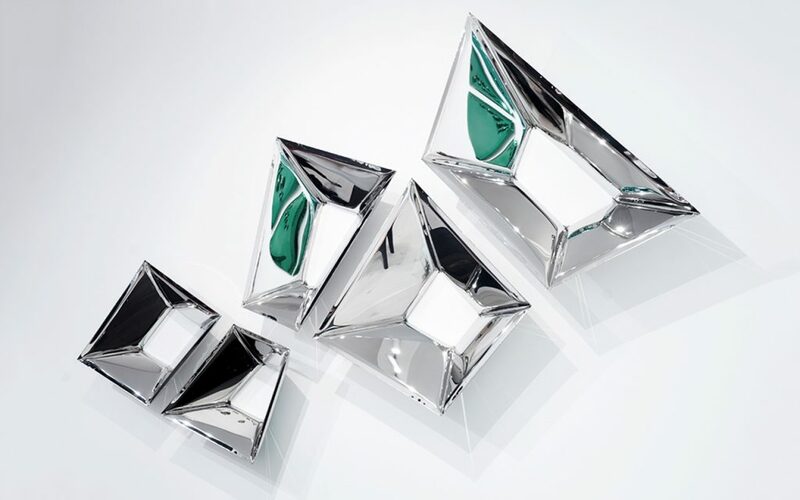 This object, exceeding archetype of a common mirror, has been made of several elements of polished stainless steel, covered with a special coating that creates a gradient composition of exceptional depth and unparalleled reflections on their surface. 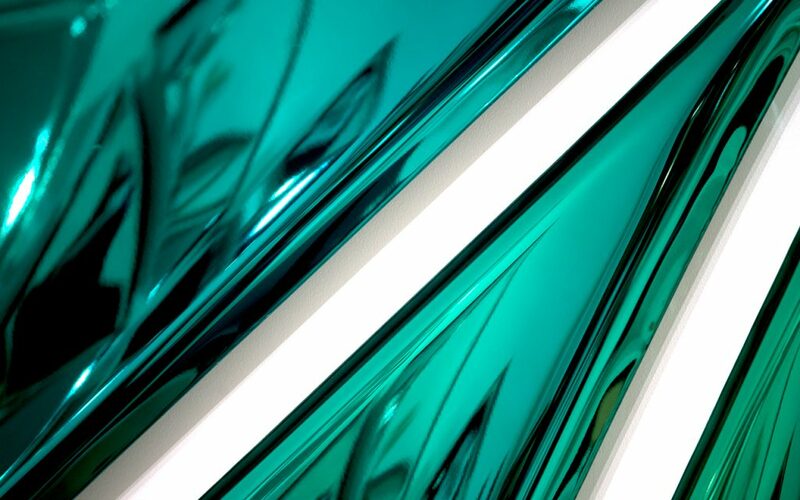 Soft transitions between emerald and sapphire shades provide the viewers intensive visual experiences. A change of point of view leads to a change in color perception. This object is an absolute dominant and a central point of space. The monumental character, strength and energy dormant in the form arouses emotions and fills in the room. 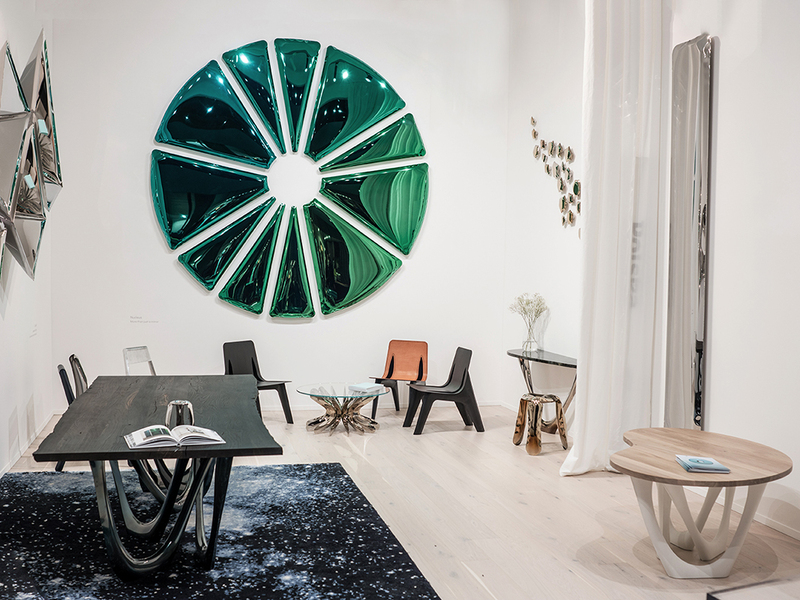 Milan Design Week will also hold a premiere of new coloristic line of Gradient collection. The new finish combines unique set of colors that will adorn RONDO Gradient. 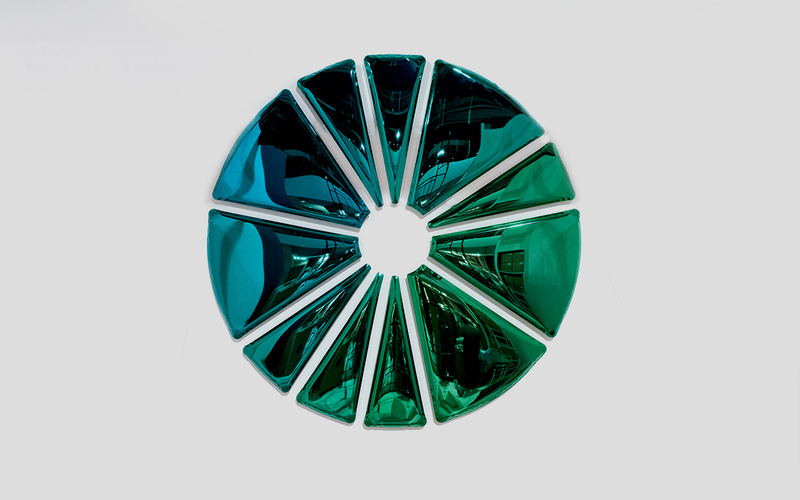 Surface of this round shaped mirror has been polished and coated in advanced technological coloring process. 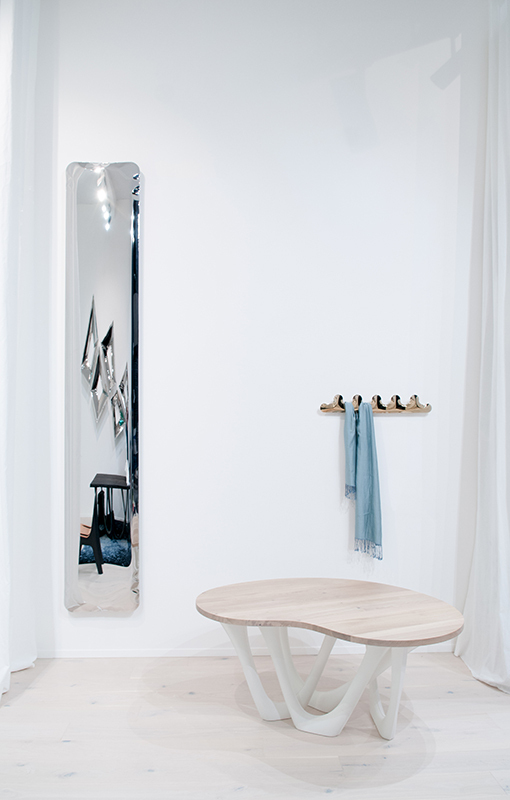 The new RONDO Gradient mirror will be composed together with monolithic G-CONSOLE in coating matching the shades of the wall. CRYSTALS is a series of mirrored objects combining geometric shapes with smooth, soft transitions of inflatable metal forms. 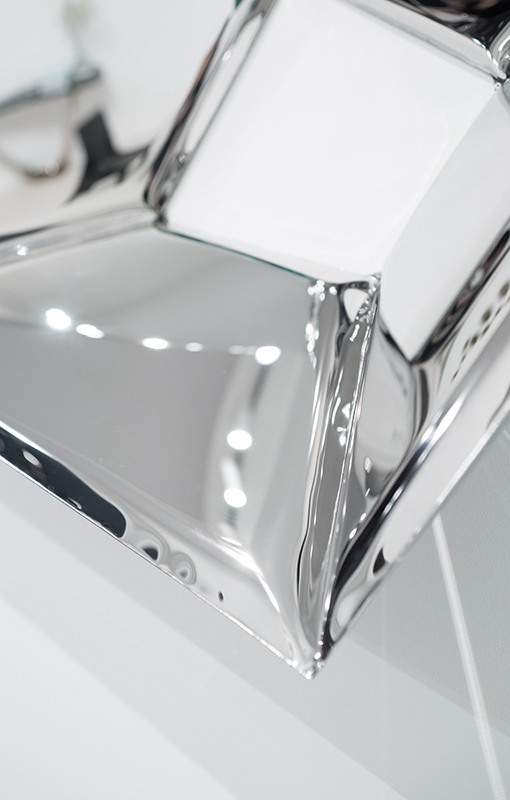 Polished surfaces curve the light, creating a stunning game of reflections and shadows. 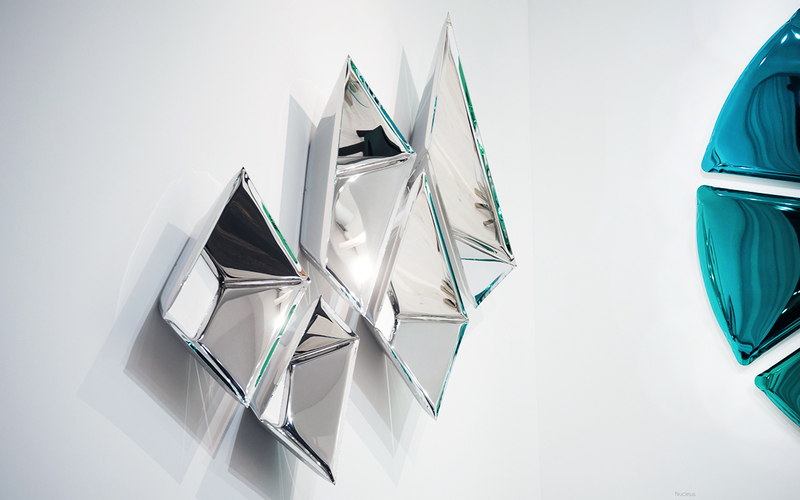 New forms of the CRYSTALS mirrors will be presented as a multi-element wall constellation. 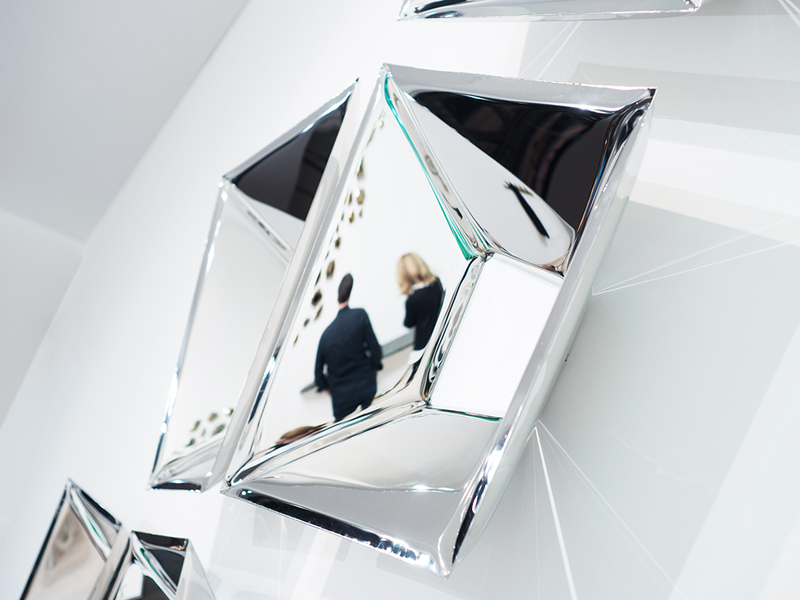 Curved mirrored surfaces allow to get lost in reflections. 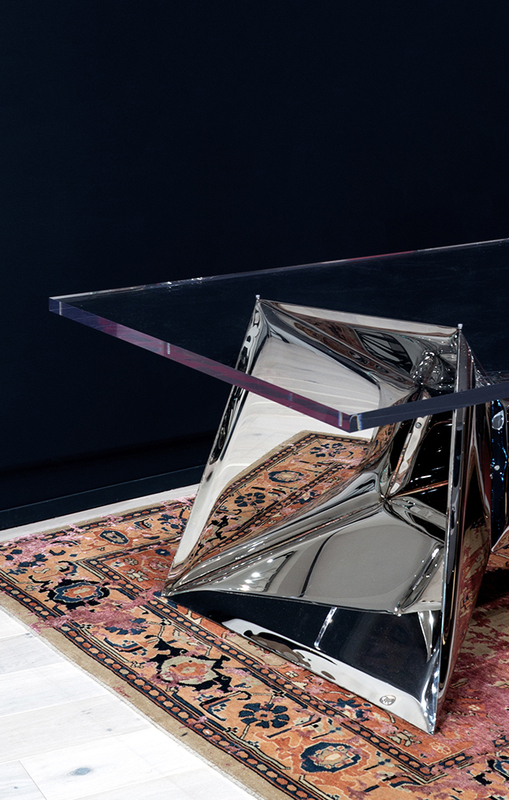 CRYSTALS table is a brand new concept and evolution of the diamond inspired series of objects. 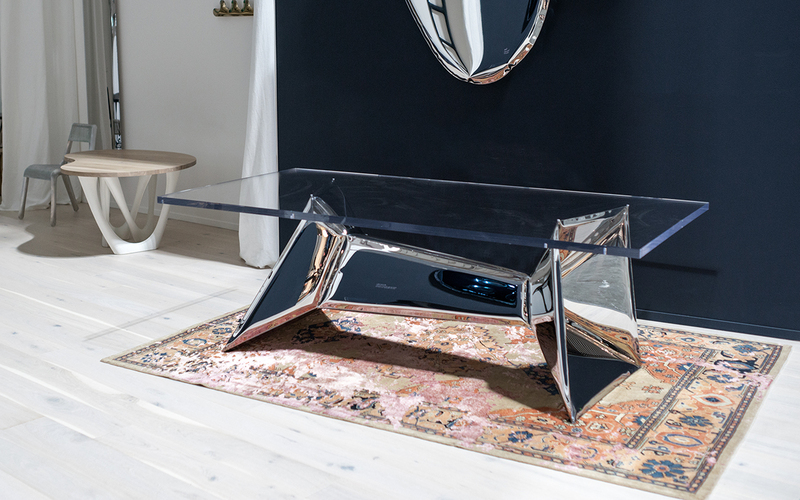 The inner part of the CRYSTALS table base, with its mirrored surfaces, creates a kaleidoscope, a curved reality. In this way, people looking into the object experience a colorful optical illusion. 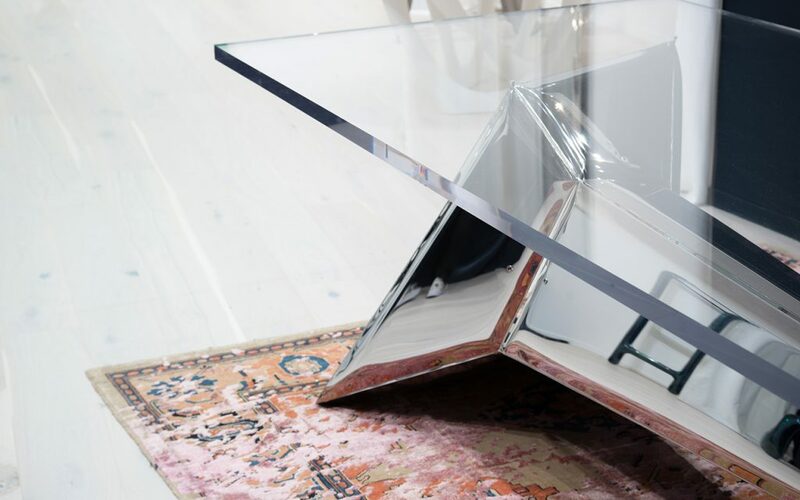 The clear table top will expose the shapes of parametrically designed base to present the purity of form. 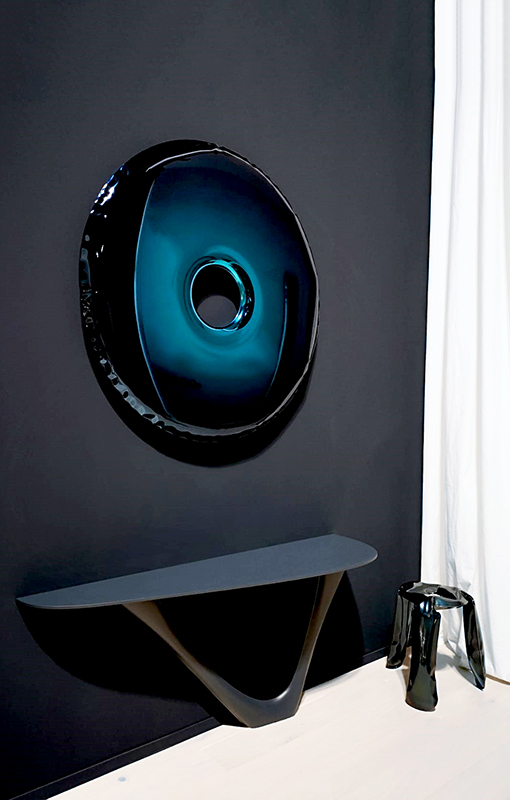 TAFLA mirrors collection has been developed in many shapes. The new form presentsgeometric simplicity and respect for proportions. Tall and narrow shape allows implementingit into most demanding interiors and arranging both as single mirroror multi-element set,creating marvelous way of filling space. 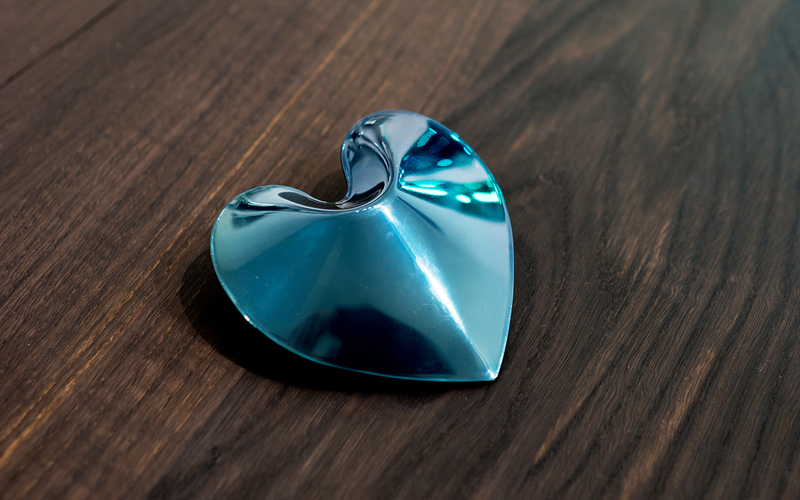 Impression on a steel surface does not reflectreality, it creates a new one. Thermal coloring is a rarely used technology. Deep and intriguing color is obtained by application of high temperature. 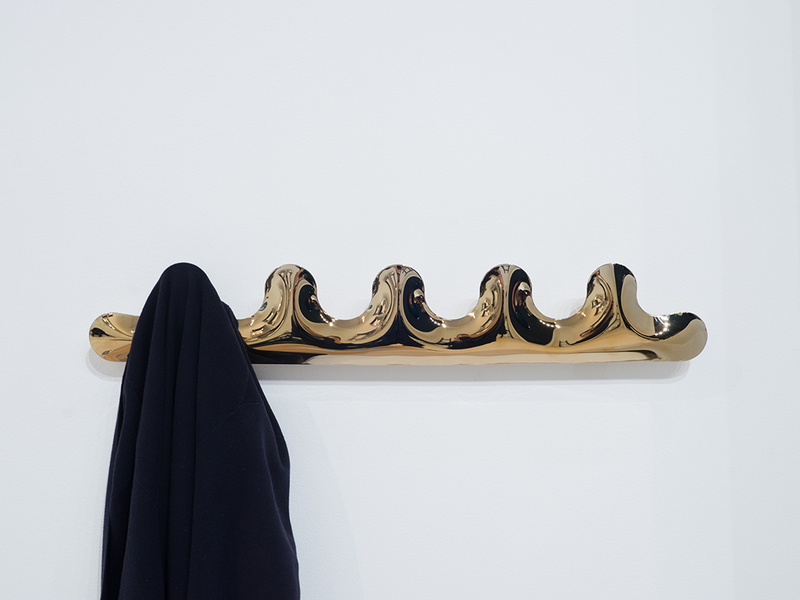 Depending on the type of metal, pressure and gas composition used for heating, the surface can get a subtle Flamed Gold color or a deep dark shade of Cosmic Blue. 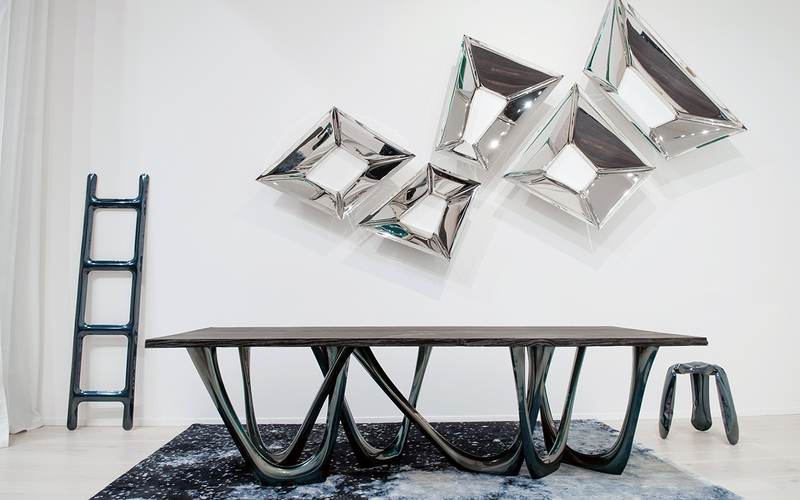 G-TABLE is a “tailor-made”, bionically shaped object. 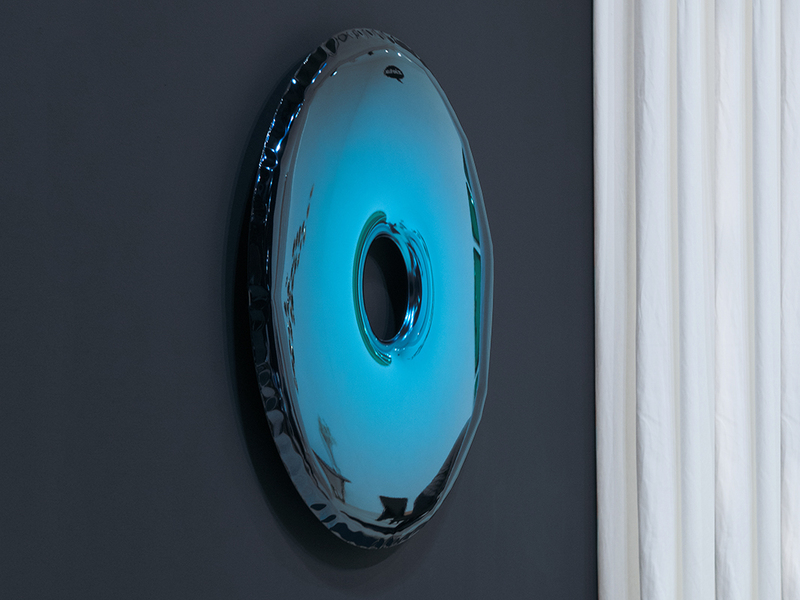 Ancient version in Cosmic Blue presented at the exhibition will be crowned with a top made of bog oak. This unique and native variety of wood was hidden at the bottom of Polish rivers and lakes for thousands of years. 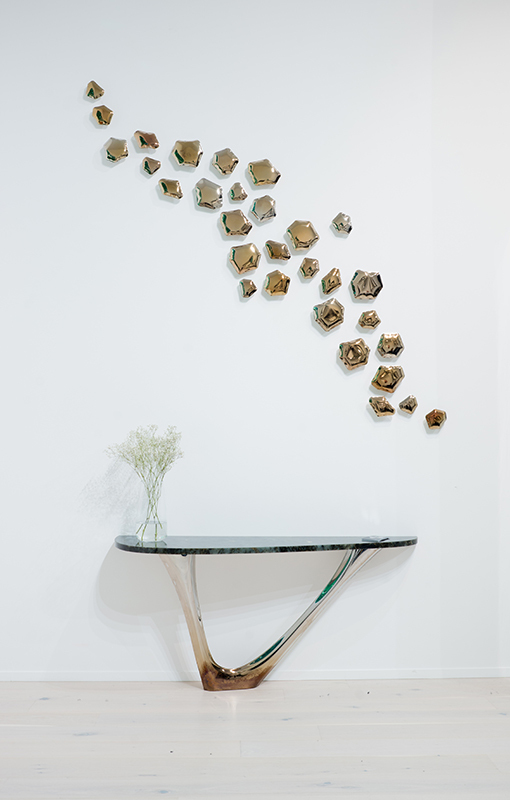 Now it is mined and transformed by LUPUS 73 into a unique material that will be the culmination of the presented table. 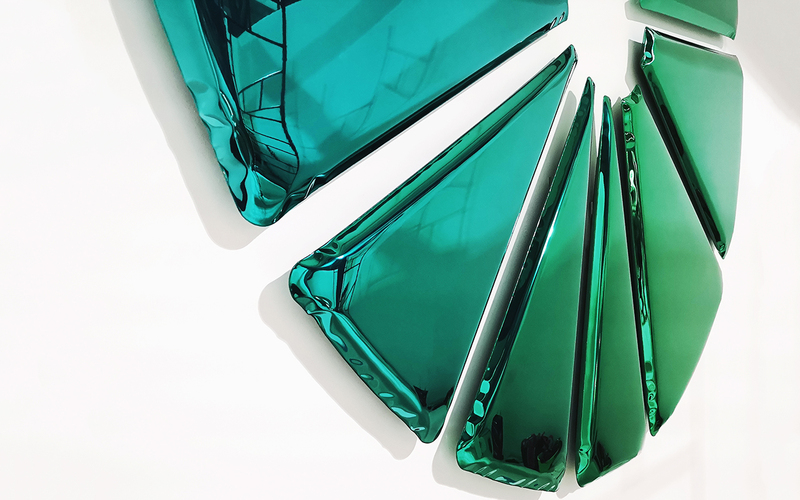 For the upcoming Milan Design Week 2019, Oskar Zieta will create a pop up installation for CHROMATIC exhibition by JUNG. 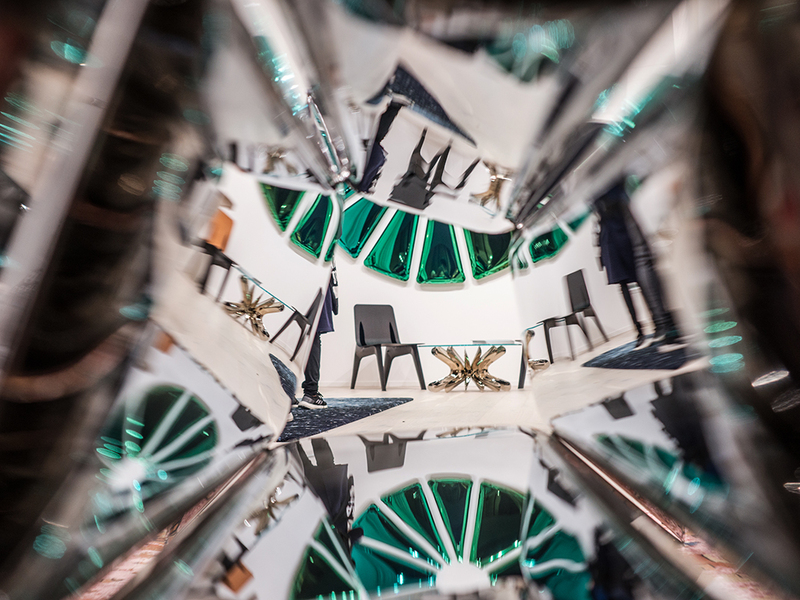 By combining architecture, lights and Zieta’s mirrors they will create an artistic spatial experiment in the rooms of a ballet school located in the heart of the Brera design district. 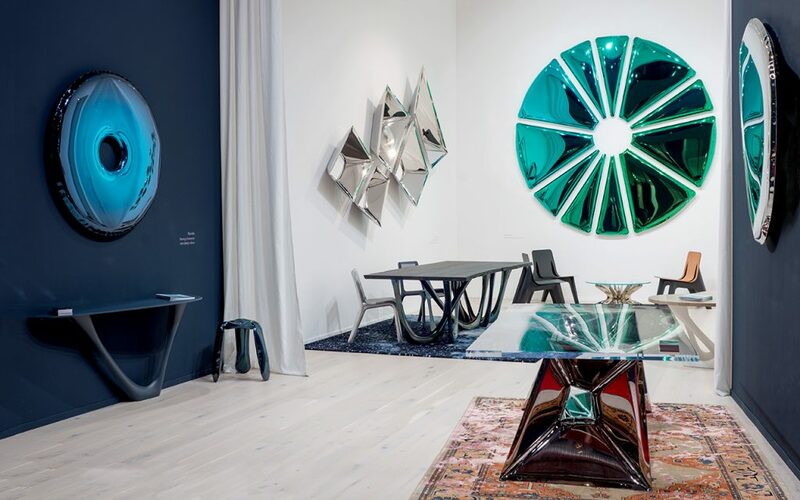 Works by Oskar Zieta will be presented also at a stand of famous Italian furniture manufacturer Cierre Inbotitti, that will add objects like RONDO Gradient mirror and CRYSTALS mirrors to their exhibition at Salone del Mobile – hall 7, stand H24H30.